Mouth odour is an embarrassing condition caused by a group of anaerobic, sulfur-producing bacteria that breeds beneath the surface of the tongue and often in the throat and tonsil area. These anaerobic bacteria assist in digestion by breaking down proteins into amino acids, and in the process they excrete waste as odorous and bad tasting compounds that cause bad breath. 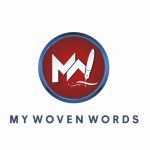 My Woven Words shares 4 ways you can solve and get rid of the issue of mouth odour. You should note that this condition is an easy one to solve, and nothing to worry about. You only need to be dutiful and dedicated about it. A dry mouth gives the perfect environment for the group of anaerobic bacteria that causes mouth odour. Avoiding a dry mouth by stimulating the flow of saliva in your mouth will help you get rid of mouth odour. This can be done by chewing gum, lozenges or mints that are sugar free. The ones that contain Xylitol, a non-sucrose sweeter, are best because they help you avoid cavities. You can also have a bottle of water handy to drink from time to time throughout the day, to keep your mouth from getting dry. Brush your teeth at least twice a day (in the morning when you wake and at night before you sleep). It is very important you don’t neglect to brush your teeth at night because while you sleep little or no saliva is being produced, so anaerobic bacteria have the perfect environment to thrive throughout your eight hours of sleep. Brushing your mouth before you sleep will help remove any food and plaque in your mouth that the anaerobic bacteria can feed on while you’re asleep. Fluoride toothpastes should be used, alongside brushes with soft (but not too soft) bristles (so you don’t damage your enamel and gum). You should also try to brush within the range of 1 – 2 minutes. Mouthwashes (alcohol free) and dental flosses can also be used after meals, especially after meals that contain onion and garlic, dairy foods, meat, fish, refined and processed sugars, coffee and juices, and heavily processed foods that contain refined carbohydrates like cookies, cakes, sweets and ice cream which provide the ideal breeding environment for these bacteria. Remember the saying, “An apple a day keeps the doctor away”. Well in this case, we’ll modify it to, “An apple a day keeps the bad breath away”. Eating fibrous fruits and vegetables like apples, bananas, oranges, potatoes etc., help moisten the mouth and remove the bacteria in the mouth, thus helping you get rid of mouth odour. Over time, there is a coating that forms on your tongue that becomes the host for many smelly bacteria. It is thus important for you to remember to gently brush your tongue, including the back of your tongue, with your toothbrush. If your brush is too big to reach the back of your tongue, you can get a smaller brush or something called a ‘scrapper’ to help you reach back there and properly clean the surface of your tongue, removing bacteria, food debris and dead cells that you might not have been able to remove by only brushing your teeth.